At Ibiza Rocks Hotel, Fri 17 May. Ibiza Rocks kicks it off! In the heart of San Antonio, Ibiza Rocks Hotel provides daytime elation for sun-seeking music lovers. 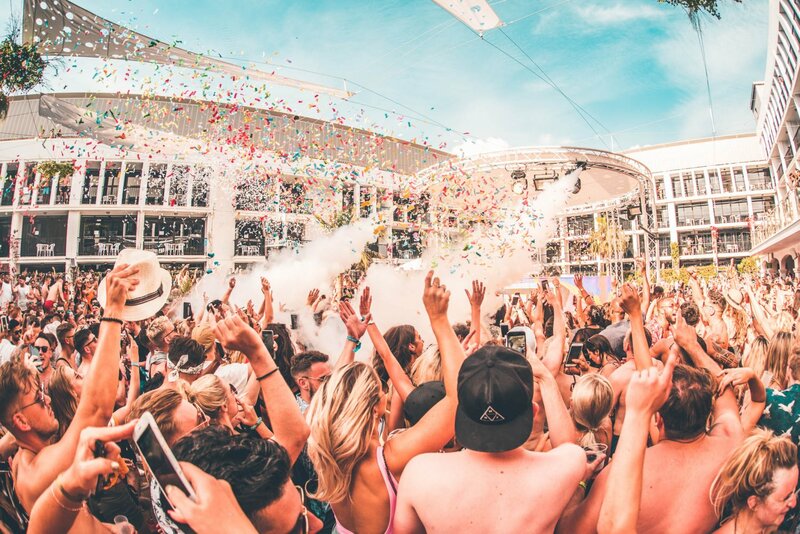 Known as the home of the pool party, the open-air venue offers the best mix of electronic and urban sounds on the White Isle. The opening of this party spot is an event not to be missed in the Ibiza season calendar. If you enjoy raving poolside to the hottest selection of DJs and artists from around the world, then this party is for you. The event attracts Ibiza season clubbers and holidaymakers alike, making it a summer playground. You can take it easy on an inflatable or rave it out on the dance floor - the freedom to party as you please is what Ibiza Rocks is all about. This year's opening party is set to be its biggest one yet. The line-up is a sumptuous selection of talent straight out of the UK. Taking on deck duties is the mix and blend expert Patrick Nazemi, whose quick-time style sets dance floors ablaze. He is joined by Krystal Roxx, an energetic DJ with a Hed Kandi heritage, with the Ibiza Rocks resident DJs also be dropping cool tunes to kick off the afternoon. Taking the mic and splitting some serious bars is up-and-coming English rapper Hardy Caprio. Last but by no means least, the headliner is a man who needs little introduction. UK garage and r'n'b chart-topping star Craig David will be live onstage playing out classic hit jams. Get ready to dance in your bathing suits and soak in some of that poolside rave action. Friday 17 May marks the start for Ibiza Rocks's summer 2019. The action runs from 14:00 to 21:00. Get there early to party while getting that perfect summer tan. Take a sneak peek of the party via the video below then head below for full details and tickets.